Beauty with charm. 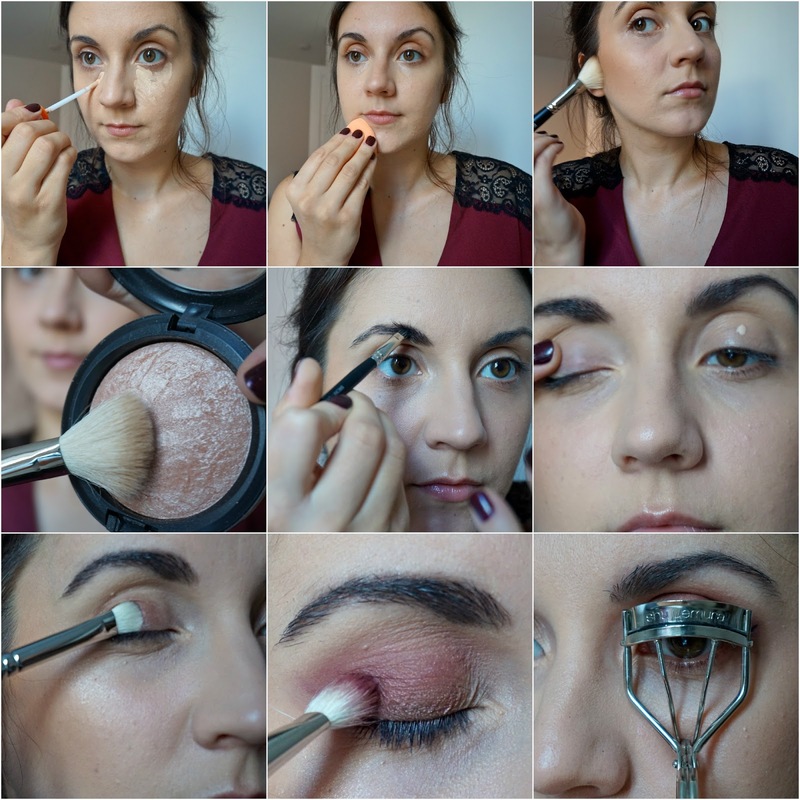 : #BLFW, The Event & Getting Ready! 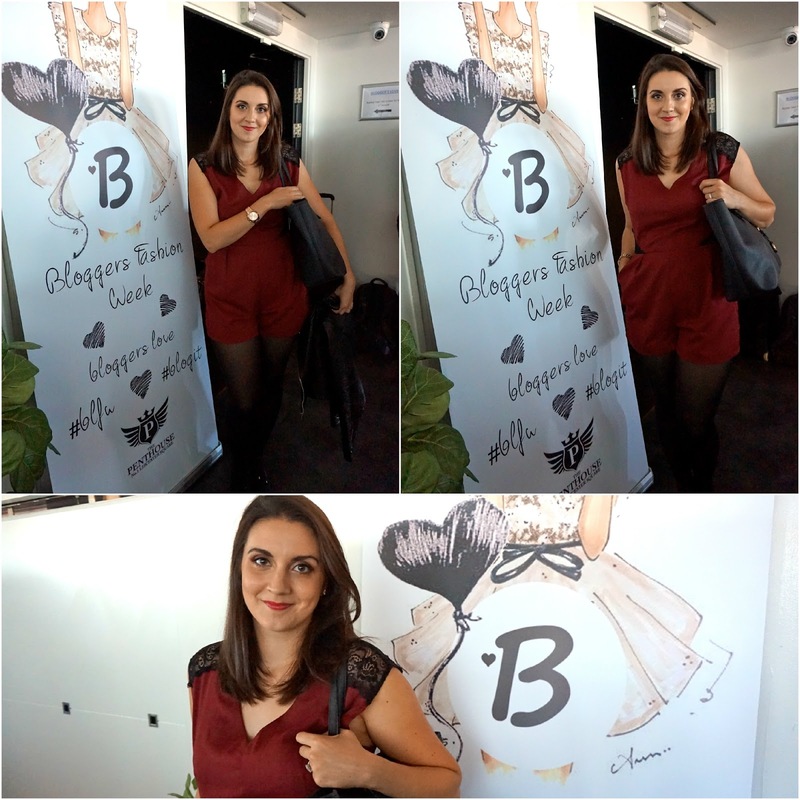 #BLFW, The Event & Getting Ready! As many of you know by now (since I harped on about it enough on here & twitter), I recently attended the Bloggers Love Fashion Week on Day Two out of the whole event. 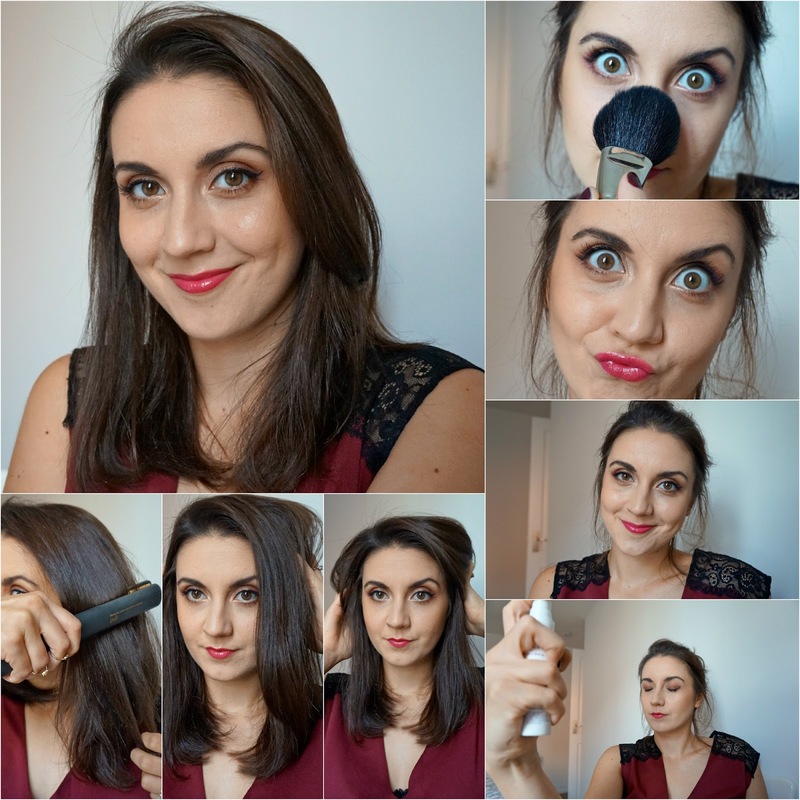 I though I would share with you how I did my makeup, what I wore and my experience of the whole evening. Just to warn you in advance this will be a picture heavy post, which is why I've decided to create a lot of collages so you won't get bored of photo after photo (it's a lot easier to take the information in this way, I think). So first off, I'll start by showing you what I wore. You might remember this Forever 21 Burgandy Lace Jumpsuit from a haul I did a little while back and would you believe it this was the first use I got out of it (this tends to happen a lot with dressier pieces of clothing as I just don't get the opportunity to go out a lot with a toddler and I'm hardly gonna wear it to the park). 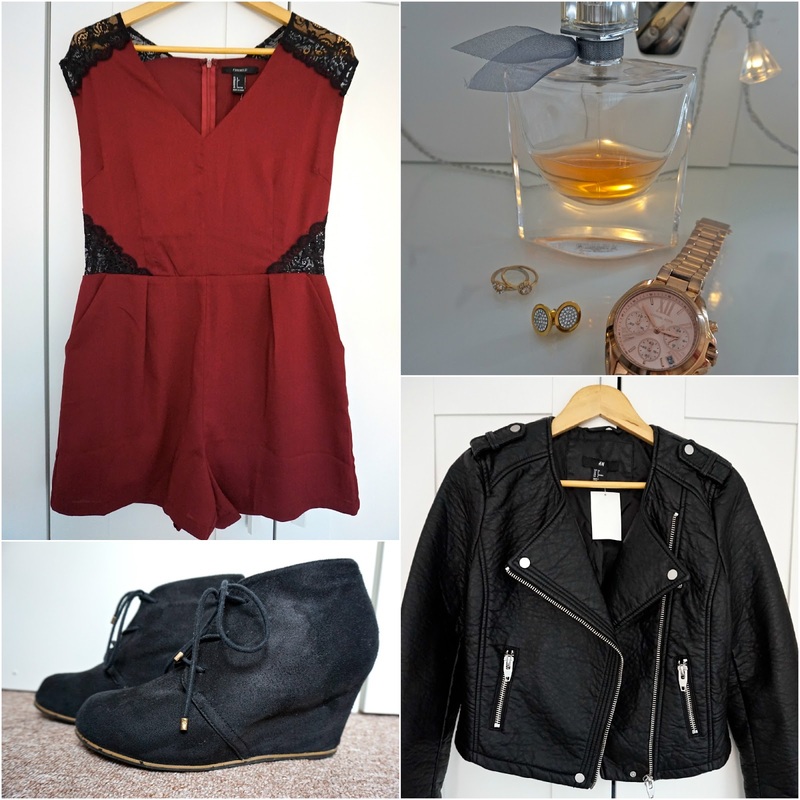 Anyway I paired it up with simple Primark tights, River Island Black Suede Wedge Boots (have them about a year so there not online anymore) and this new H&M Faux Leather Jacket (I finally found a leather jacket that I loved and it didn't cost a fortune either). I'm not a big jewellery wearer, even though I love picking up little cute pieces I never seem to wear them. But I decided to go with my Marc Jacobs Rose Gold Watch & Gold Studded Earrings, along with two dainty midi rings I picked up from Topshop a while ago. My favourite scent at the moment is Lancome La Vie Est Belle, I just love it as you can see from the bottle. Now onto makeup, since David took Ellie out for a daddy-daughter date, I had so much time to get ready and thought I would try something different with my new camera, resulting in a lot of photos. 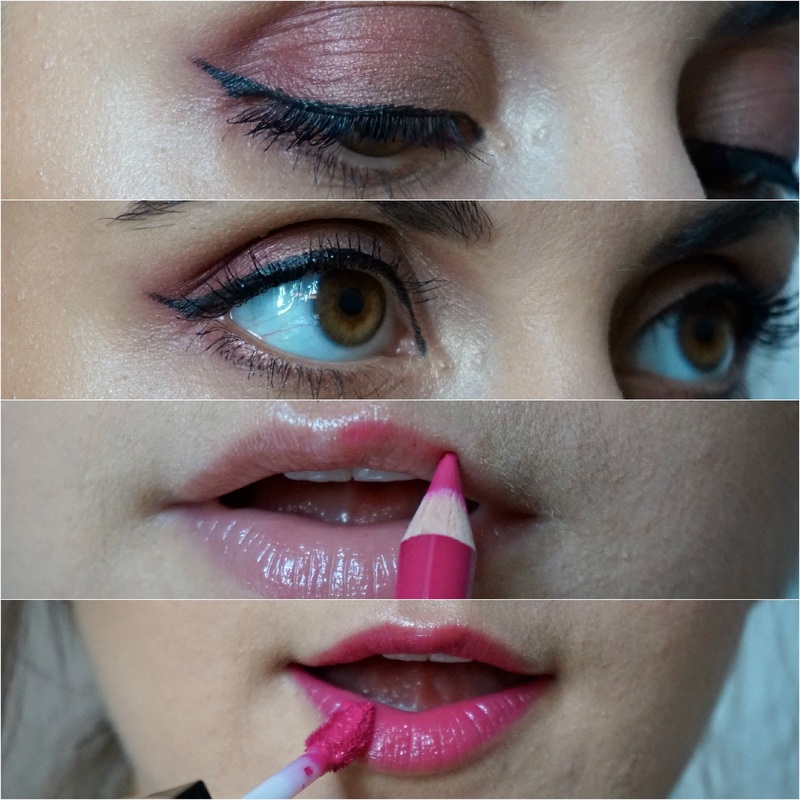 It's basically the steps I took in applying my makeup. 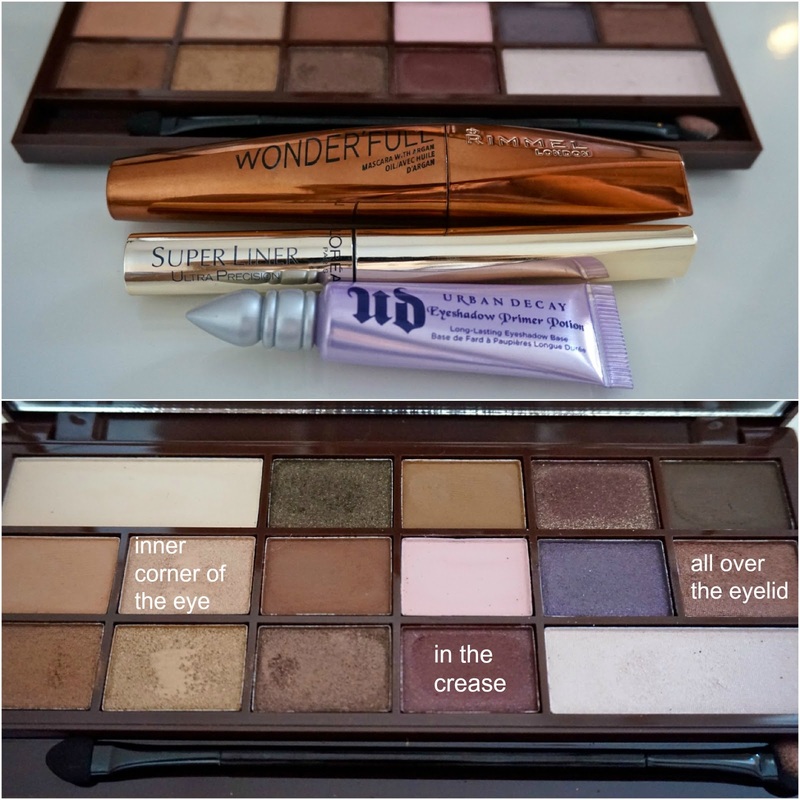 I did forget to photograph certain products and techniques (such as the eyeliner because I need to get up close & personal with the mirror for that so there was no way I could photograph it), but the majority is there. 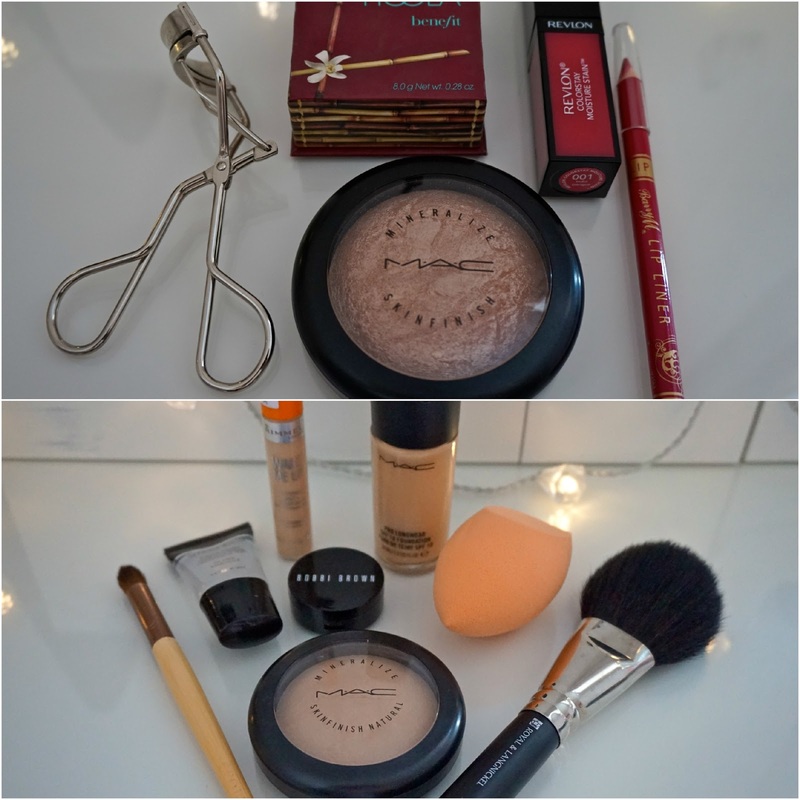 As you can see in the photos I am using a few new products that haven't got a mention yet in the blog, but that's because I've only had them for a little while and wanted to get a feel of them before reviewing. So don't worry the rest of the week will consist of two makeup hauls with mini reviews of all the new purchases, definitely keep an eye out for them. I'm going to let the photos do the talking rather then taking you through each step, but if there's anything you would like to ask about a certain product or technique, please do in the comments below. Now enough of my face; let's get onto the actual event, which is probably what you all want to read about. 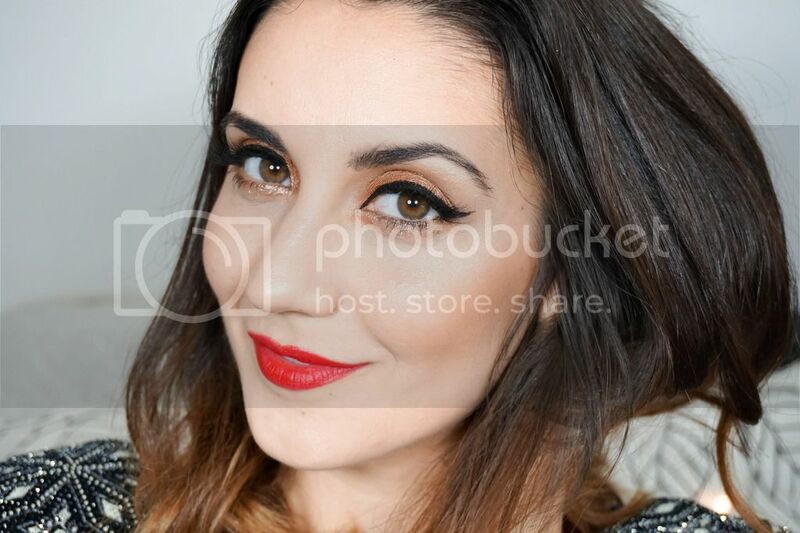 In case you didn't know the event was hosted by the lovely Danielle from Bloggers Love, who put in so much work into the whole week, fair play to her for organising everything, she really did an amazing job! I look forward to more events from her in the future! The event took place in The Penthouse, Leister Square on the 7th floor which had an amazing view of London. I loved the area, it was buzzing with people and performers, from what I could see, it seems like a really good area for nightlife; who knows maybe myself and David will venture out there again on our next date night (whenever that may be). Although I was super excited to go, the idea of being on my own was scary and quite daunting, so I wanted to make sure I got there early before the crowds started arriving so I could get chatting to a few other bloggers. Little did I know that everyone else would also be there super early, so 5.45pm was not early enough and I walked in to a crowd of people. Thank god I met the gorgeous Sara from SaraK blog on the elevator and got chatting to her, otherwise I might have spent the evening on my own. She took these outfit photos of me, so thank you again Sara! Although I enjoyed my first blogger's event, I'll be honest with you and say that I found myself quite intimidated most of the night. As a new blogger I had no idea what to expect and when the room is filled with bloggers that seem to have a lot of experience and are so prepared it's difficult not to feel small & 'unsignificant'. Sara left early and I managed to stick around until the fashion show was over, even though at that point I felt quite uncomfortable being on my own whilst everyone else seemed to be chatting away in groups. I'm glad I stuck around, because I also ended up chatting for a bit with the appointed vlogger of the night, Jessica Yau, who filmed the whole event (all 3 days of it), so make sure to check out her YouTube channel for all the great footage. After that it really was time to go home, even if I did leave earlier then I had expected to. I still appreciate going and I am glad I stepped out of my comfort zone by heading out on my own. It definitely won't put me off going to other events, but I just thought I would be honest and tell you everything rather then just portraying it as the best night ever! For my next event I'll make sure to have business cards ready to go, as that was one thing that made me feel so unprepared as well as being quite embarrassing. The sweets corner why was emptied quite promptly, I guess everyone has a sweet tooth. Here I have some of the brands that really caught my attention and the ones I will be sure to check out next time I want to make a sneaky purchase. Soundchick Accessories: How cool, unique & colourful are the above accessories. If you want to stand out from the crowd, these are the kind of showstoppers you need to invest in. One of their most popular pieces are the Chick Feather Earrings, which are made of dyed & natural exotic bird feathers. Of course every other piece in their collection is uniquely made to suit you. Vins Boutique: This was by far my favourite brand out of them all. Each single piece of jewellery was just gorgeous; very dainty and girly. At the moment they stock a range of costume jewellery, as well as sterling silver and Swarovski crystal jewellery, which will be made individually for each customer. I will definitely be looking at picking a few pieces up over the next few weeks, as I was left extremely impressed by it all. The girls behind the brand were also super friendly and more than willing to talk to us and answer all of our questions. Nina Rai Couture: Just look at these beautiful headpieces, I would love to own something like this for my wedding day (whenever that may be). They have such a unique and vintage feel to them, I will definitely keep this brand in mind for the future. As you see from the photo each luxury headpiece is handcrafted with a mix of stones, glass, crystals and even feathers, with amazing attention to detail. 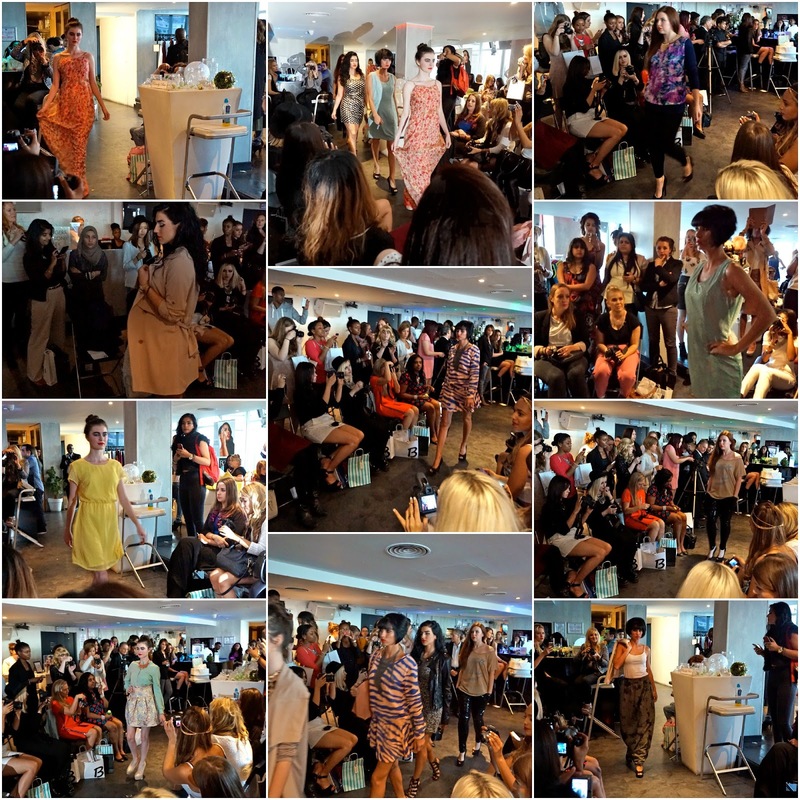 And here's a few snaps of the fashion show, which included some gorgeous pieces from Didi's Boutique, Fiorelli & Rocco Fashion. There were so many flashes going on at the same time so I did find it difficult to get really great quality images but hopefully you can still get an idea of what it was like. So with that I'll finish up the post and hope that you enjoyed getting a peek into my first evening out in the blogging community. If you would like to share your thoughts on this do comment below, I appreciate all opinions. Do any of you have any events coming up in the future that you are looking forward to? Great post, photos and well done on your first event, it must be so scary when you go to your first event and not knowing what to expect. I really like your makeup ! What do you think of the RT sponge. I've discovered it recently and I love how it blends foundation and concealer right into the skin. The event looks like so much fun, you're really brave to go on your own! I would have been petrified! I'm sure the more that you attend, the better and more enjoyable they will become :) I wish I lived in London, not much happens up North!